CrossFit is a growing phenomenon of constantly varied, functional movements, performed at high intensity. Don't let that last part intimidate you. That "intensity" word tends to scare off potential members, causing them to miss out on quite possibly the best opportunity to get fit that they have ever been offered. Intensity is relative - meaning it is different for each individual and tends to grow as the member's desire grows to get faster, stronger, and better at just about everything. It is also relative in that not every single workout is meant to be performed at the same type of peak intensity. Some will tax your lungs, some will tax your muscles, and some will assuredly tax everything you have. 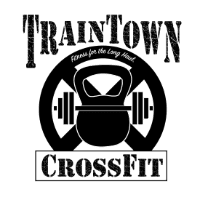 But we can nearly guarantee that if you give TrainTown CrossFit a try, you will one day look back and wonder why you were ever afraid to start. "Constantly Varied" simply means that everyday is different - specifically the workouts. Routine is the enemy of progress. Over time, this continual change in what you ask of your body will require it to respond in a manner that meets the demand placed upon it. 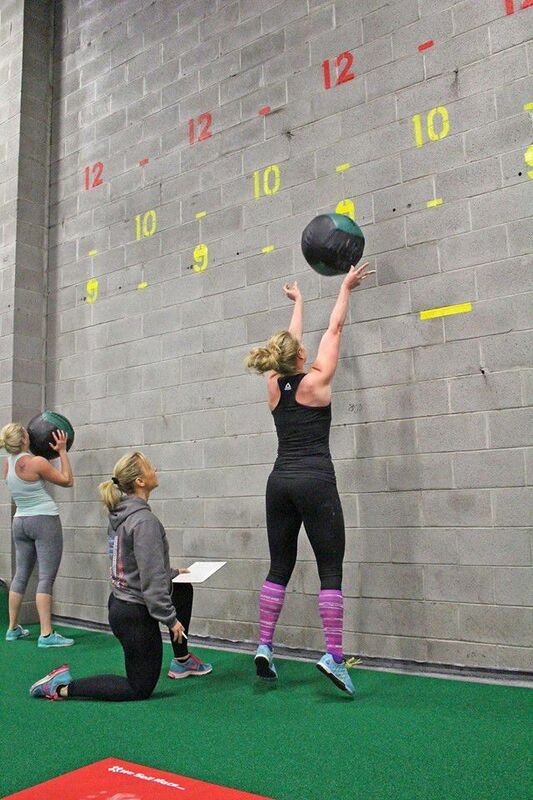 Each day you walk through our doors, you will be presented the Workout of the Day, better known as The WOD. We will not change the workout, however, we will use scaling and modification for each individual to assure a safe and attainable, yet challenging experience. You will perform The WOD with other members who are just as nervous as you are and together you will find a way to dig deep and get through. At the end, we will gather your reps, times, loads and any other pertinent information we can use to track your progress. We will use these numbers to constantly create goals for you to reach and overcome. "Functional Movements" are those that we all use on a daily basis, or maybe should use. Picking things up, setting things down, putting things on a shelf, standing from a seated position, squatting, getting up from the ground, etc. Other functional movements that may be required at different intervals during your day include running, jumping, carrying, pulling, pushing, throwing, leaping, climbing, etc. 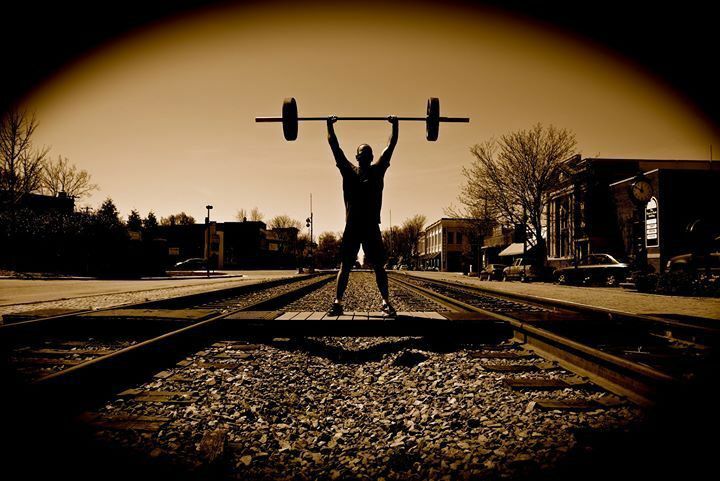 CrossFit prepares you for the known, the unknown, and the unknowable. Not only will you have a better ability to take on life's daily tasks, you will also find that your arsenal of capabilities to handle unforeseeable situations has grown as well. Most importantly, we look forward to helping you thwart the ravages of time and age by improving your quality of life and personal independence for as long as your future will allow. One of the biggest differences between a "typical" gym and our TrainTown CrossFit box is that a Trainer will be present to cue, correct, and encourage you throughout your effort. In essence, you will have a "group personal trainer" to introduce, explain, demonstrate and direct the WOD. He or she will be right there with you the entire way helping you seek out your upper limit. Who can do CrossFit? From the young to the old, grandchildren to grandparents, elite athlete to the straight-up couch potato. Busy moms and dads, families, annoying siblings, we take just about everyone. Firefighters, Law Enforcement Officers, Emergency Medical Providers, and Military Personnel, we want you too. Oh, you have a physical limitation? We like to call those individuals "Adaptive Athletes", which means we will find a way to improvise, adapt, and overcome your obstacle together. If you arrive with the intial desire to improve each and every session, we will help you put forth the work that will take that notion from a good idea to a long-awaited reality. Please watch the video at the top of this page provided by Reebok CrossFit Fifth Avenue for further explanation about everything that is CrossFit. If you think you are "too old" for CrossFit, check our the video in our Legends class, click here.